David McCourt (right) with Professor Mark Ferguson (Director General, SFI), and Professor Margaret Murnane (co-recipient). David McCourt, Founder and CEO of Granahan McCourt Capital – a CONNECT industry partner – has been awarded the 2018 St. Patrick’s Day Science Medal by An Taoiseach, Leo Varadkar TD. Professor Margaret Murnane, Professor of Physics and Electrical and Computer Engineering at University of Colorado, is a co-recipient. They have received the award for their significant contribution to academia, research and industry. The Taoiseach continued: “In recent years we have made considerable achievements in STEM research and industry. This national strategy will continue to push that forward; benefiting our economy, bettering our society, recognising our scientific heritage and integrating it into our modern culture. A strong supporter of Irish research, he has provided considerable support to CONNECT, through substantial partnerships with his companies. Among his achievements David can include being the first-ever recipient in 1984 of the White House award recognising extraordinary accomplishments by private sector businesses. He also attended the eG8 Forum at the invitation of President Nicolas Sarkozy, to advise political leaders on the digital ecosystem. 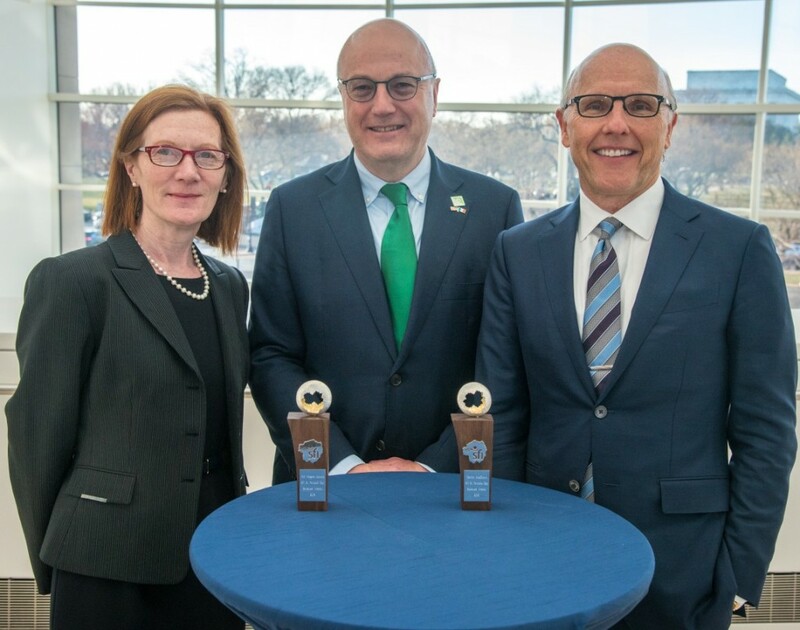 At the event in Washington, Mr McCourt said: “I am delighted and honoured to accept the SFI St. Patrick’s Day Science Medal from Science Foundation Ireland. I have long been an advocate for Ireland as a place to do business. As an employer in Ireland, and with my own interest in R&D, I greatly value the culture of innovation and collaboration that exists between Ireland and the US. I believe that collaborative research with industry will continue to produce transformative advances that will enhance both our economies and societies.